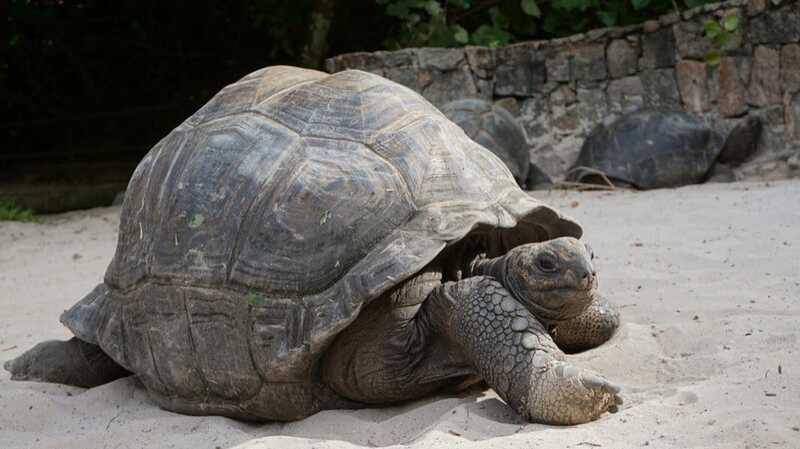 When I was young I really wanted to go to Seychelles, mostly because there was a Greek song about going to Seychelles for vacation and ever since then it stuck with me. Mind you I didn’t even know where they were as I was only 13 years old. I had tried to visit several times in the past few years as most flights from Europe these days are very affordable at around £350-£450 mark but it always seemed so far away. 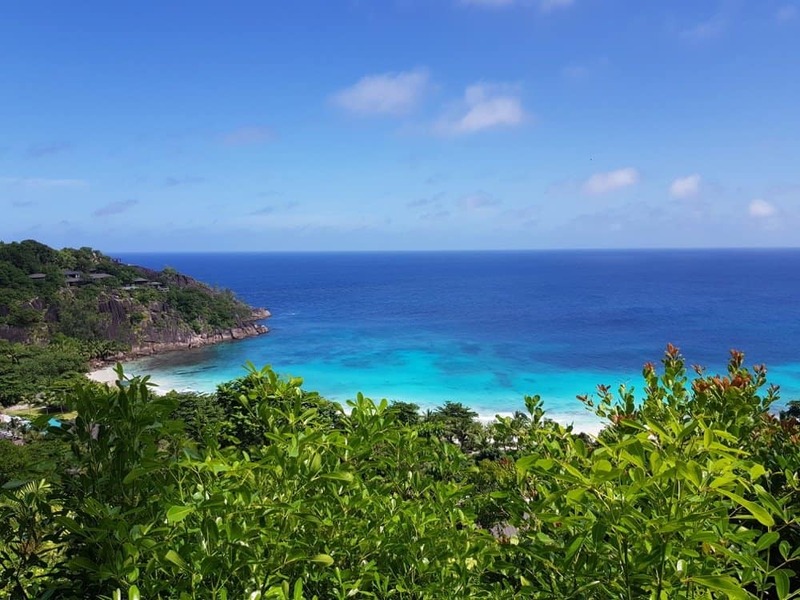 Since moving to Doha and with Qatar Airways offering direct flights to Seychelles I was just waiting for the perfect opportunity to explore this little paradise island. 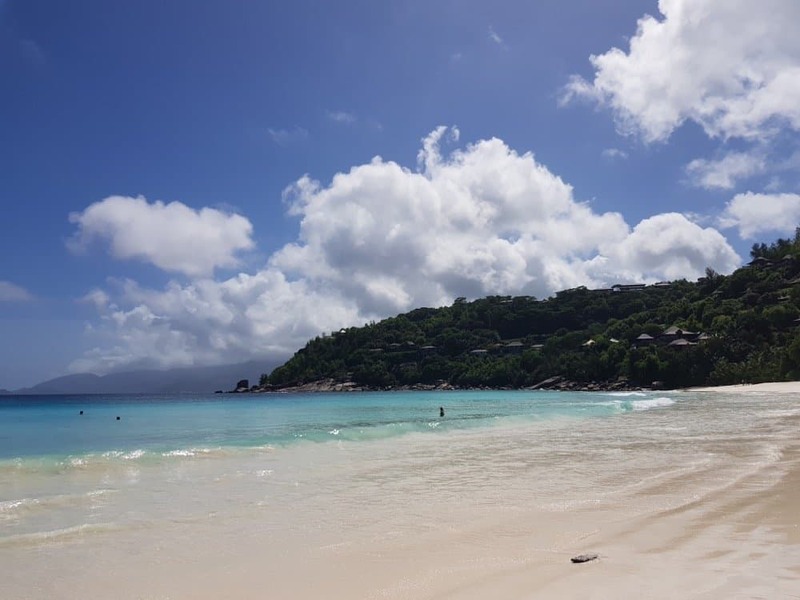 Seychelles has been also high on the list with Muslim honeymoon couples asking for the best hotels and places to stay on the island so I decided to check the Muslim-friendly options in Seychelles. The perfect opportunity came along during our Eid holiday this year. 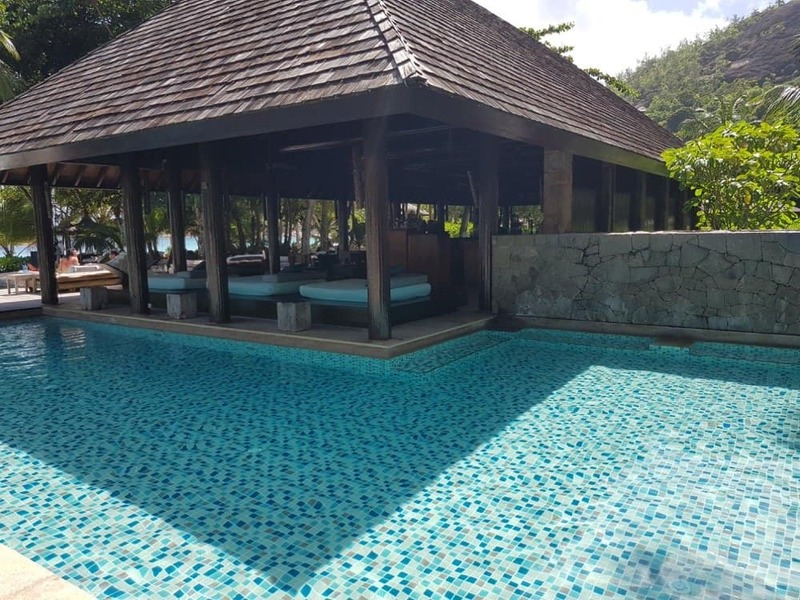 Our first stop was the Four Seasons Seychelles, which is a stunning property on one of the best beaches on Mahe island. 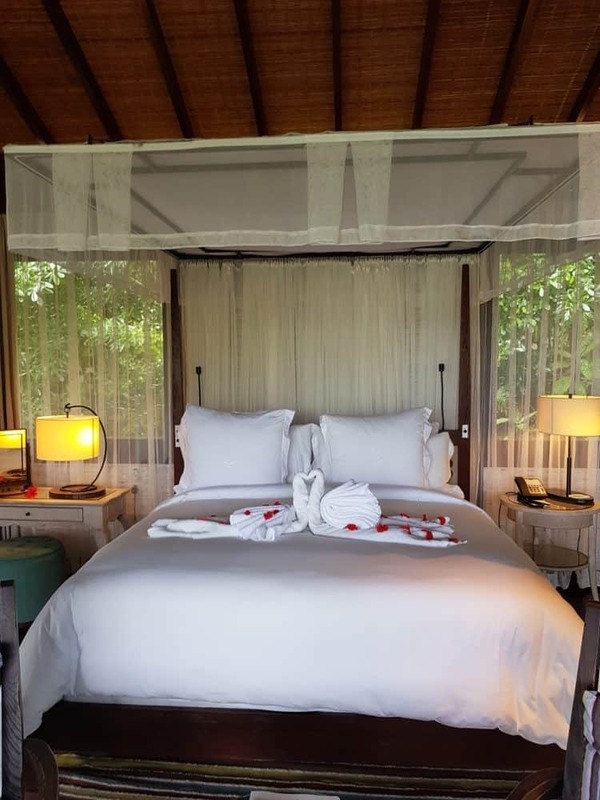 It is a 40-minute drive from Victoria airport and you arrive at a private paradise tucked away in the mountains with gorgeous hilltop views and the beautiful blue colours of the Indian ocean. We have stayed at the Four Seasons in Doha and I visit regularly the spa here, but this would have been the first time we experienced a Four Season resort. We had rented a car so we can explore the island as I read taxis were expensive and although the rental was also expensive we did enjoy having the freedom to drive around Mahe. 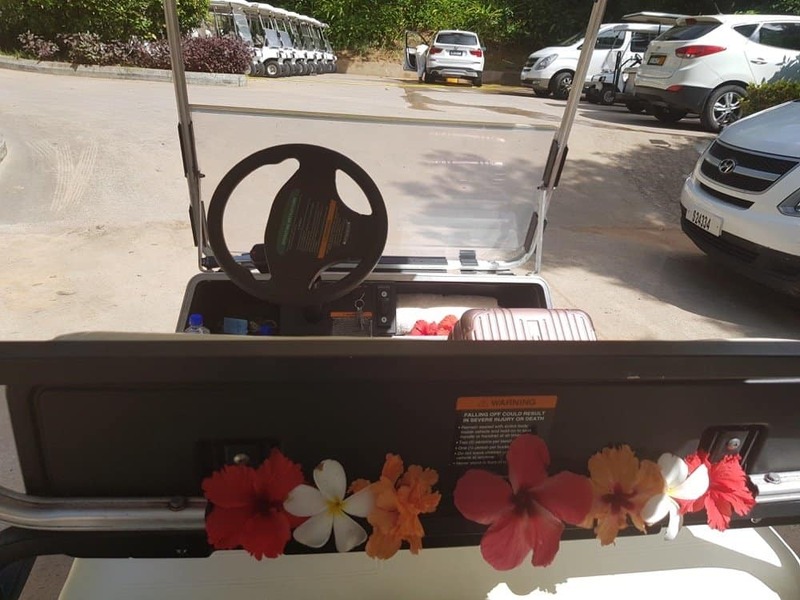 Upon arriving at the resort we parked in the parking area and took the buggy to the hotel reception. They already knew we were arriving and the staff were courteous and polite while working on the formalities. 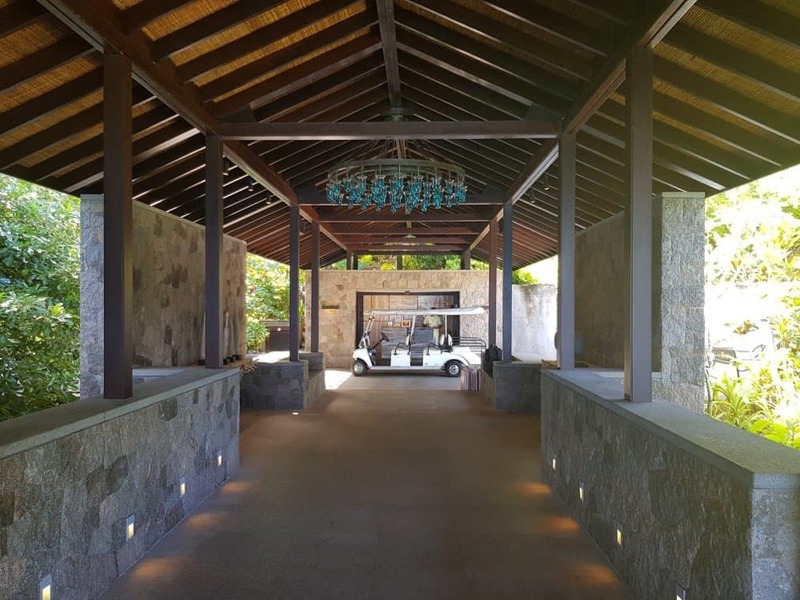 The reception is an outdoor building with a lovely view of the ocean but it doesn’t prepare you for what you are about to experience once you check in. 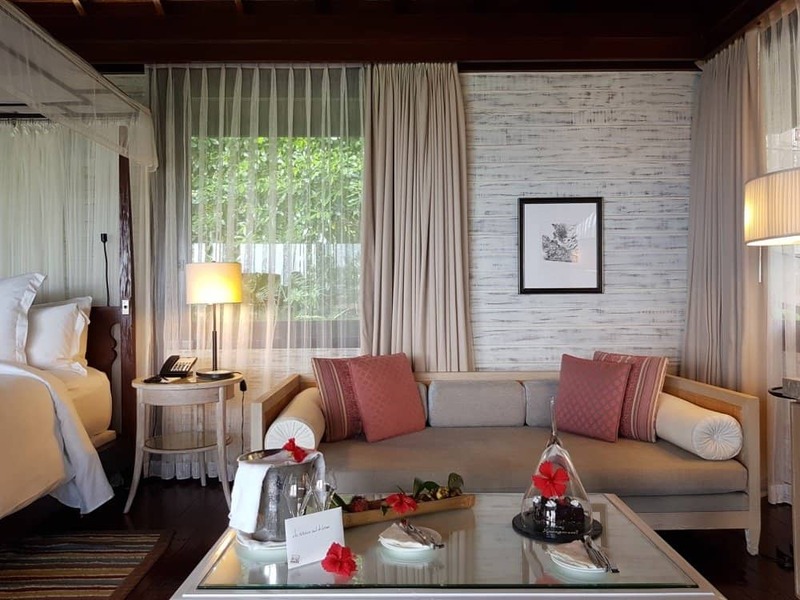 Every room in the resort has a private villa with a private pool and the only difference is the location of the villas. All of the villas have the same layout and furnishing. We were allocated in villa 104, which was a Hilltop Ocean View villa. After about 2 hours our villa was ready so they brought us the key and escorted us. Our luggage was already there waiting for us. 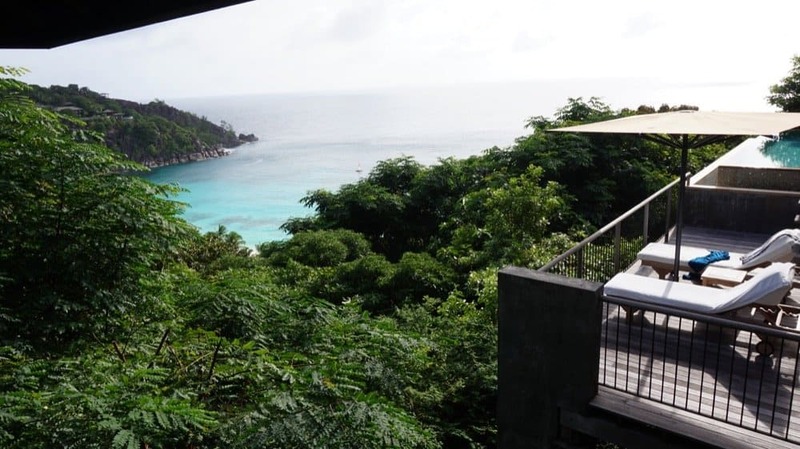 The Four Seasons Seychelles villas are all nested in the lush green hills each set on its own with good privacy. 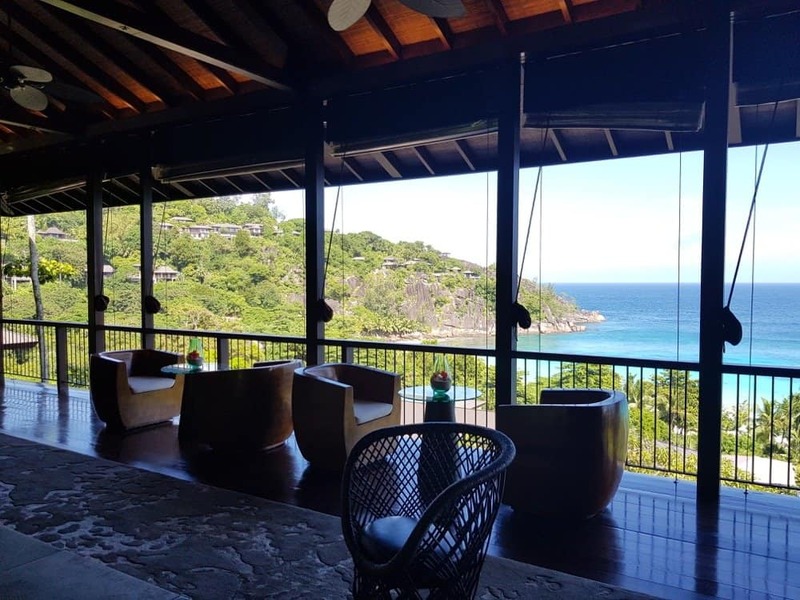 As this is a ‘hilly’ hotel, you can expect elevations and stunning views and although there are over 67 villas in the resort, it never felt busy, even though it was at 95% occupancy. Our villa was nested in the middle of the resort, with a great ocean view. 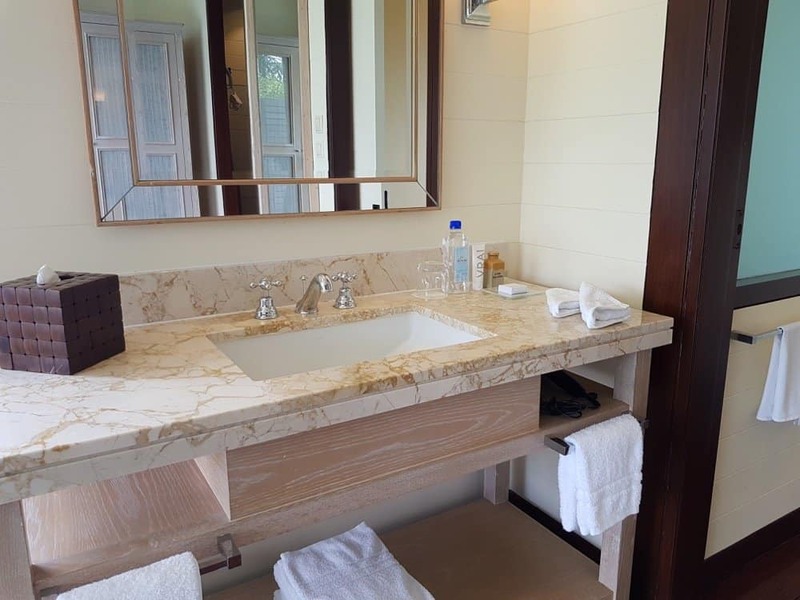 The deco is perfect for the location with earthy wood colours with plenty of space in the living room and the bathroom had a walk-in closet and a bathtub that was more like a plunge pool than a tub. Also, the bed was one of the comfiest I have ever slept on and I am not too keen on soft beds. You felt it just hugged you and for some reason, it was very comforting. What I really like was the outdoor space. 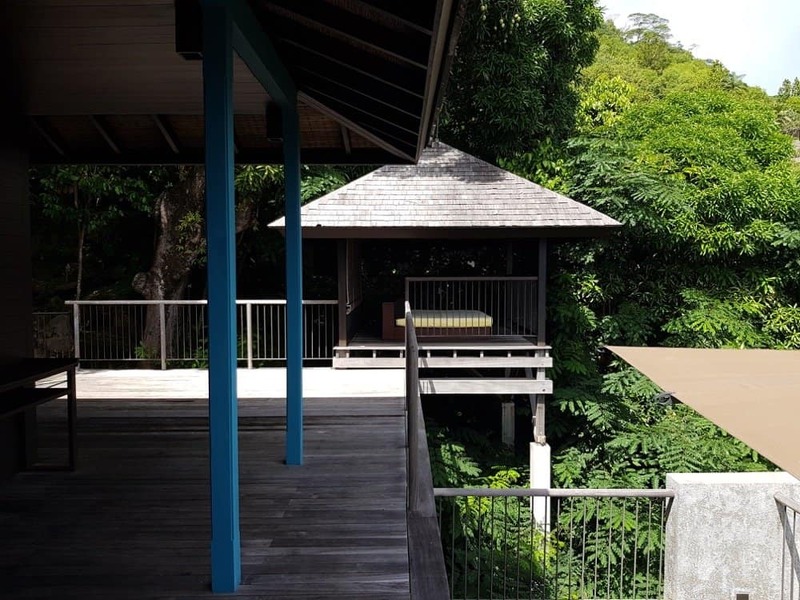 Every villa comes with a deck with sun loungers and of course a private pool. In terms of Muslim-friendly functionality I liked the fact the pool offered great views of the ocean and you can relax there, but if you wanted to sunbathe the lounge chairs were on a lower level which offered more privacy and because of the flora and how it was manicured you could relax more in privacy and remove your burkini. Also because all villas are spread out and away from each other you can’t even see the residents on the opposite end. 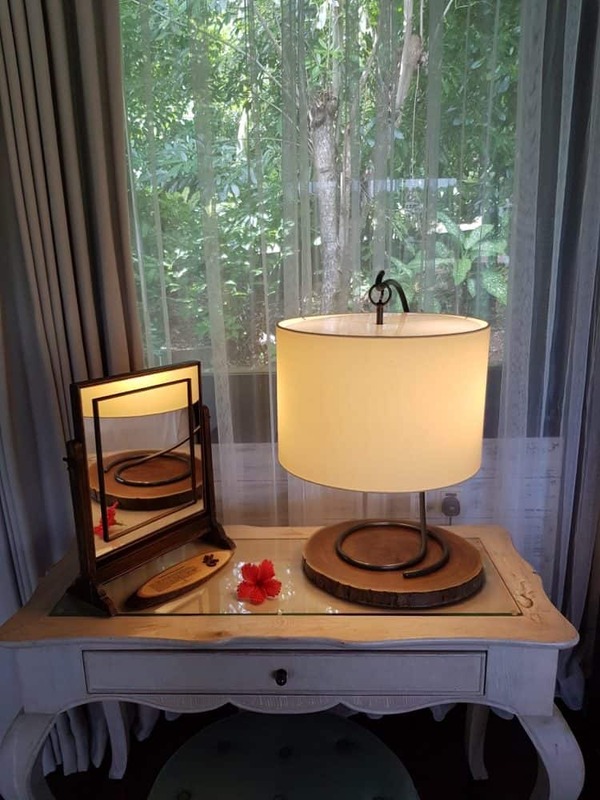 Upon arrival, they had decorated our room with a honeymoon theme which was a really cute touch and if you are going on a honeymoon I highly recommend you email in advance and request it. The chocolate cake alone is worth it!! 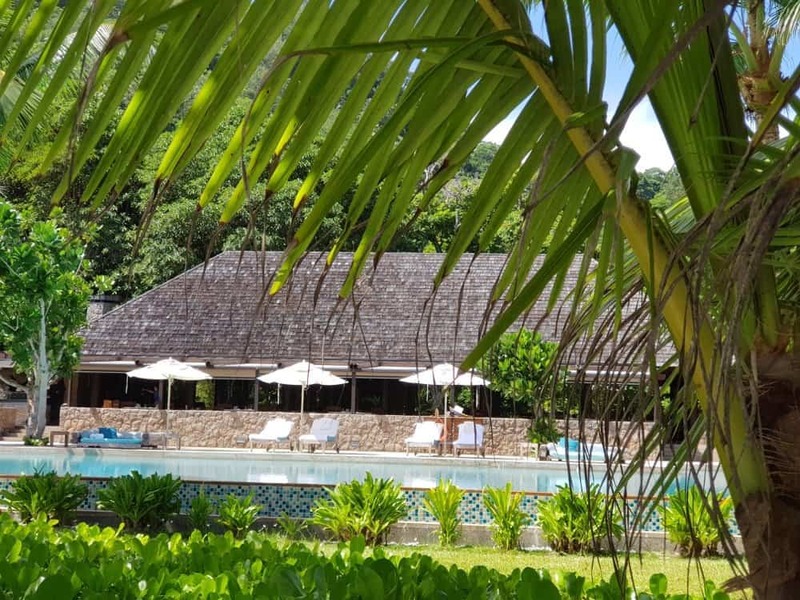 I had read that the Four Seasons resort has one of the best beaches on Mahe island and after exploring two more different sides of the island I can confirm this to be true. The beach is small, private, beautiful and with the tiniest white sand, I have ever seen. 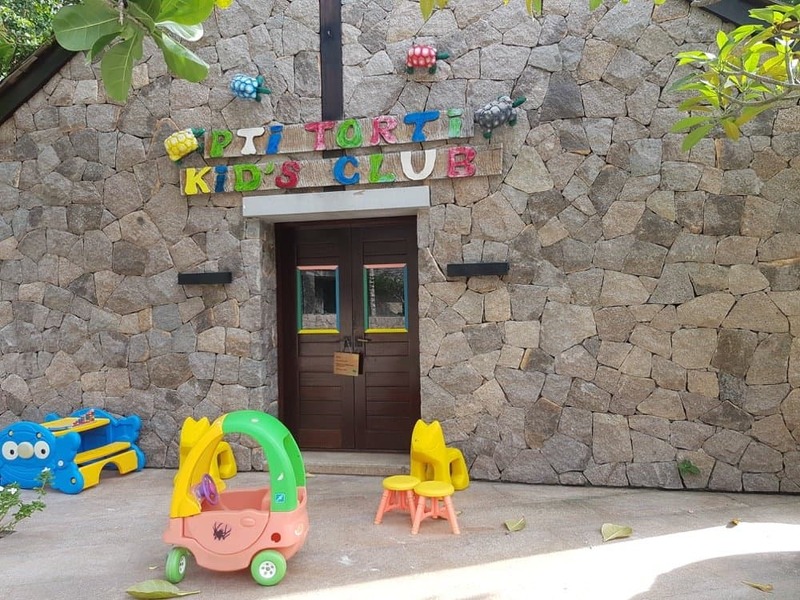 The resort has 3 restaurants, a shop where you can buy souvenirs, the beach bar, a kids club, a turtle sanctuary and also many free beach activities for guests. 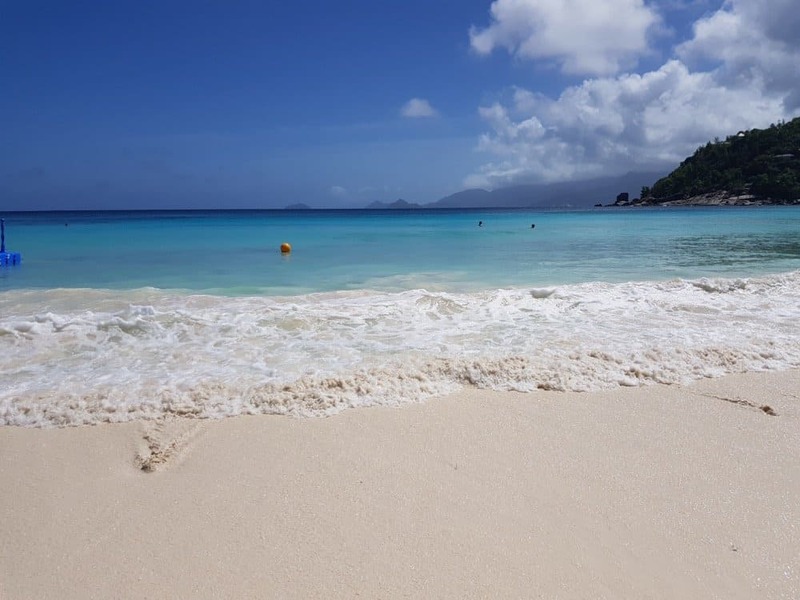 You can snorkel, do paddle boarding, take a water bike and enjoy the cove on your own or you can try one of the charities who do reef exploration with a small additional cost. There is so much you can do that it will hardly be boring. 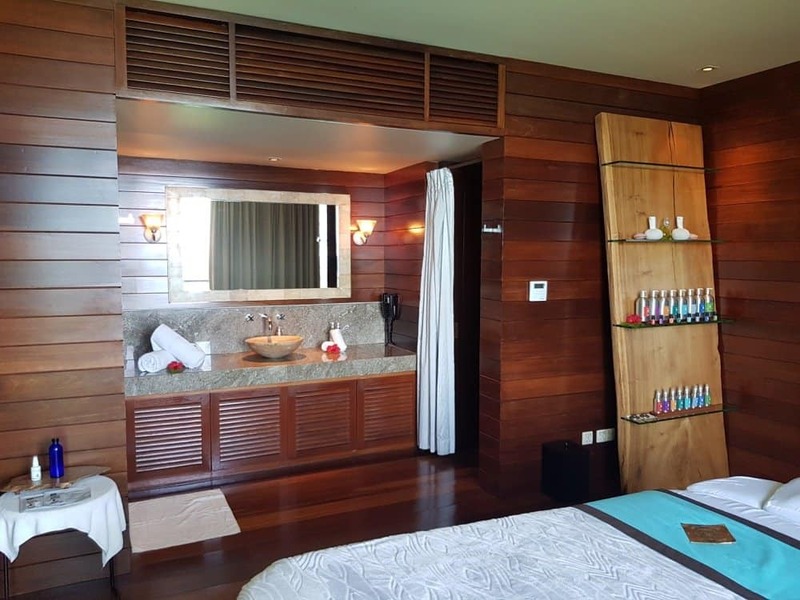 They also offer daily yoga classes in the Spa with the best 180 degrees view of the resort. 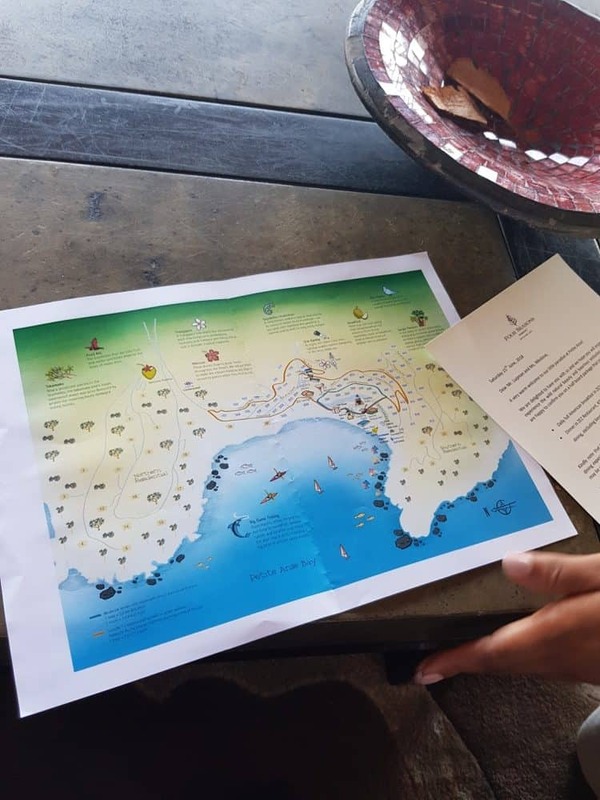 We really wanted to do the reef exploration which was offered as part of a charity working to preserve the reefs around the resort but sadly the weather spoiled it and we had to cancel. It cost only 20 euro but it seemed like a great educational activity with as it was a guided snorkelling tour. If you are going to the resort I highly recommend you book yourself. 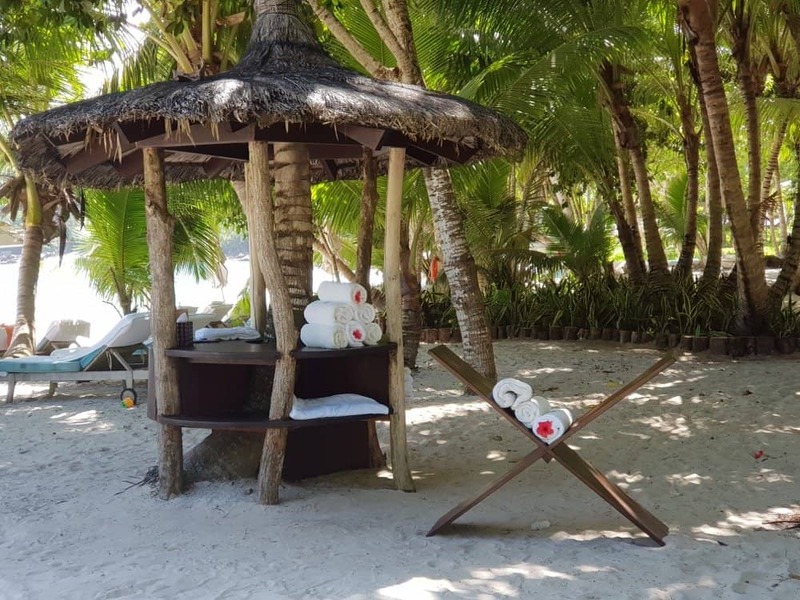 The beach is small but beautiful, there are plenty of sunbeds to enjoy there and we did spend most of our time enjoying fresh coconut and the sea. Majority of the guests were either young couples or middle-aged couples with a lot of Middle Eastern guests who were there for the Eid holidays. While I was there we had at least three or four Muslim couples. 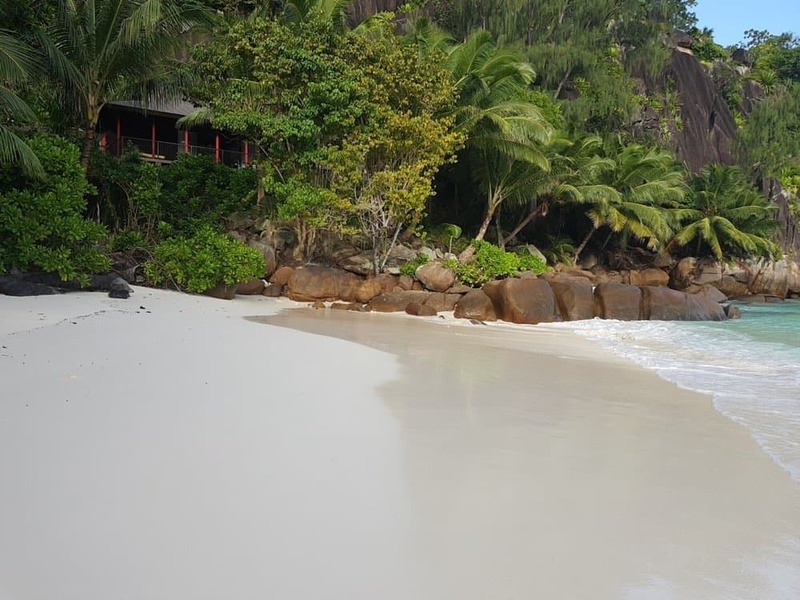 Many of the guests actually stay in their villas so even though they were almost full the beach was not crowded. 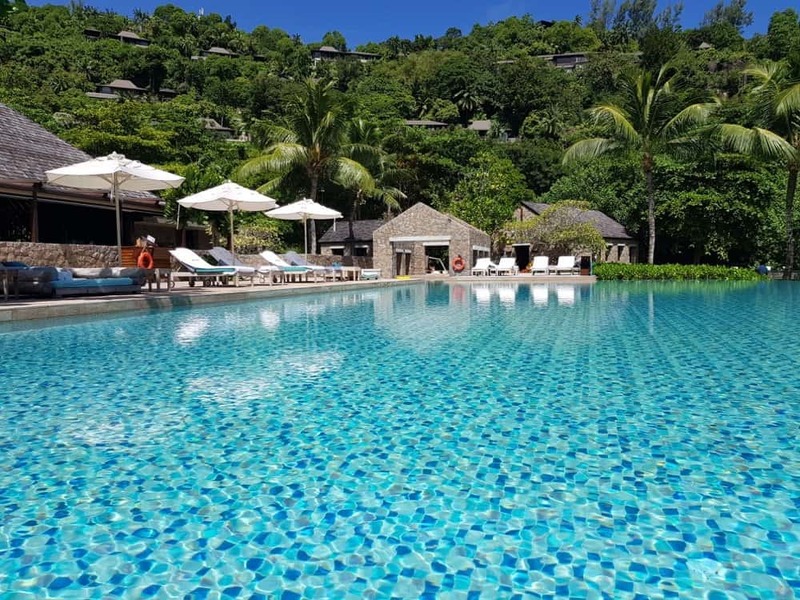 In the resort, there is also the main pool next to the beach bar but honestly, I didn’t even try it, with a pool in my villa and a beautiful sandy beach I just couldn’t bring myself to spend time by the pool. Breakfast was served in the main restaurant which is just below reception. Don’t expect a big buffet with everything available like in the Middle East, there are plenty of options when it comes to food but I can’t say it was overloaded. 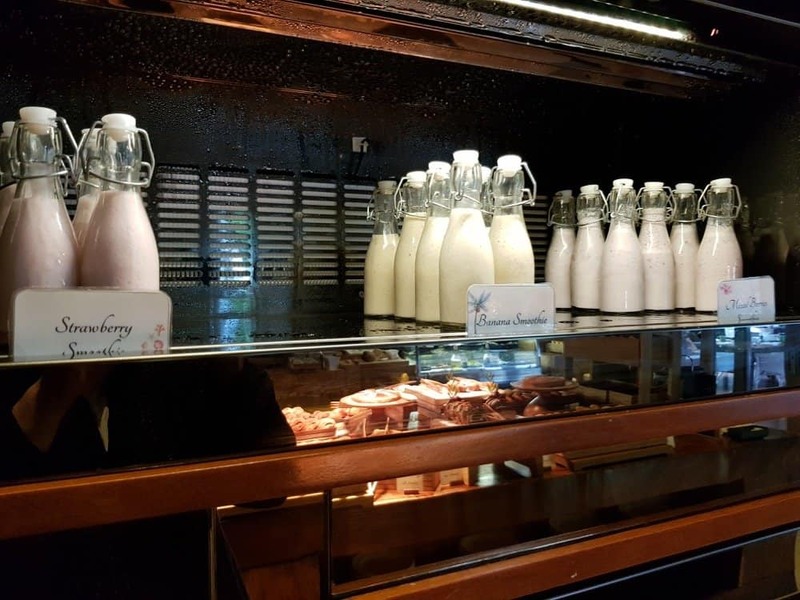 There were the usual choices of fruits, pastries, salads, eggs, smoothies and some hot food options, like beans, eggs, & mushrooms. We also had a card on the table for the egg choices and also some sweet options. 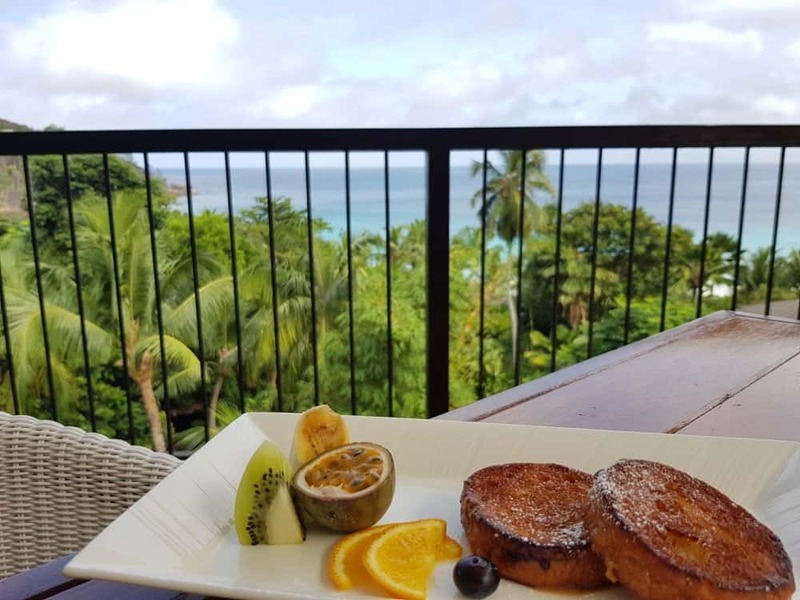 The french toast was one of the best french toast I have had and I would happily go back to taste it again. Since we are in the middle of the jungle we also had some of the most persistent bird visitors ever. 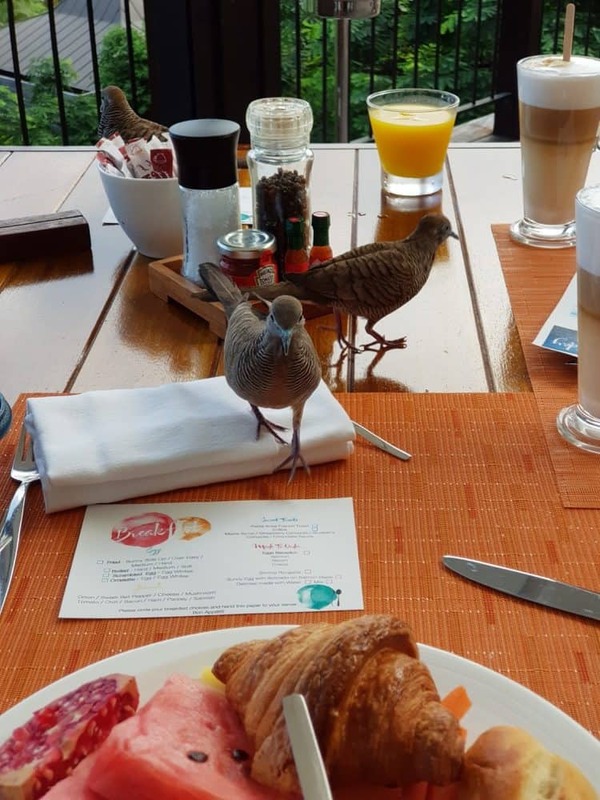 We had a similar experience in Thailand but Seychelles birds are 100x more persistent in trying to steal your food – quite literally! Overall breakfast options are good and I prefer to have less choice than wasting too much food, I feel the balance was right. 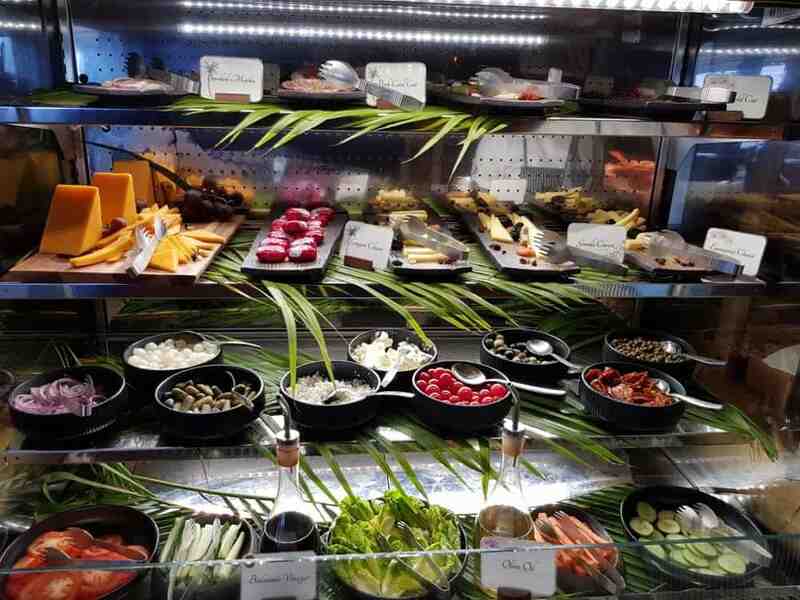 All of the food in the Four Seasons Seychelles is Halal and the majority of the food is imported via Dubai. 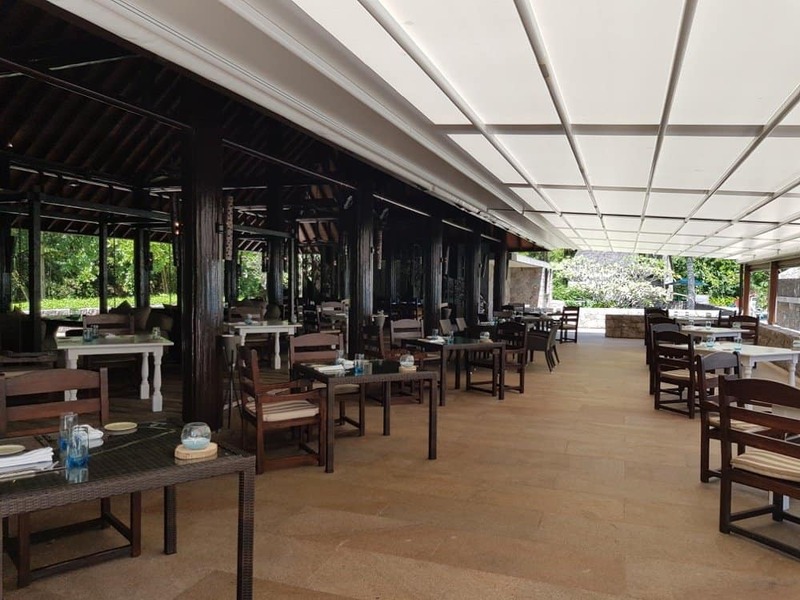 Also something else I didn’t know but I will make sure I check out next time is that the food generally in the Four Seasons resorts and hotels worldwide is halal, even the one in the UK. It is not something they advertise but it’s a fact and if asked they are happy to confirm. Since the Saudi Prince Bin Talal partially owns the hotel, I guess it makes sense. It also explains why there is a Saudi flag in many of their hotels too. On both days we had a breakfast in the restaurant, lunch on the beach and dinner only one of the nights since we were too full. 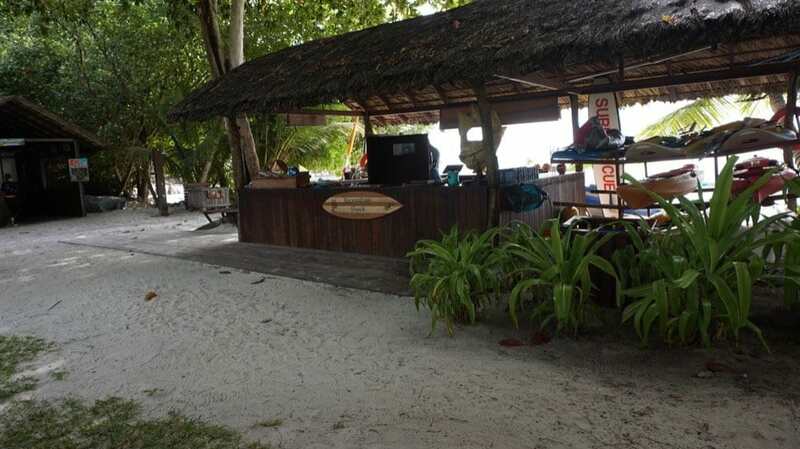 The food on the beach was very good value for money and delicious. 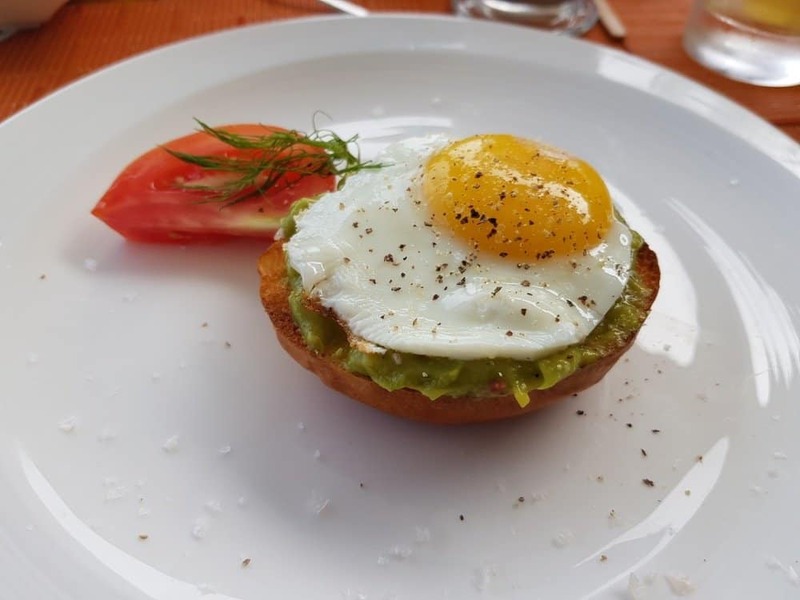 My husband had read online about their burger (these bloggers!) so he had to try it and I have to say it was delicious. 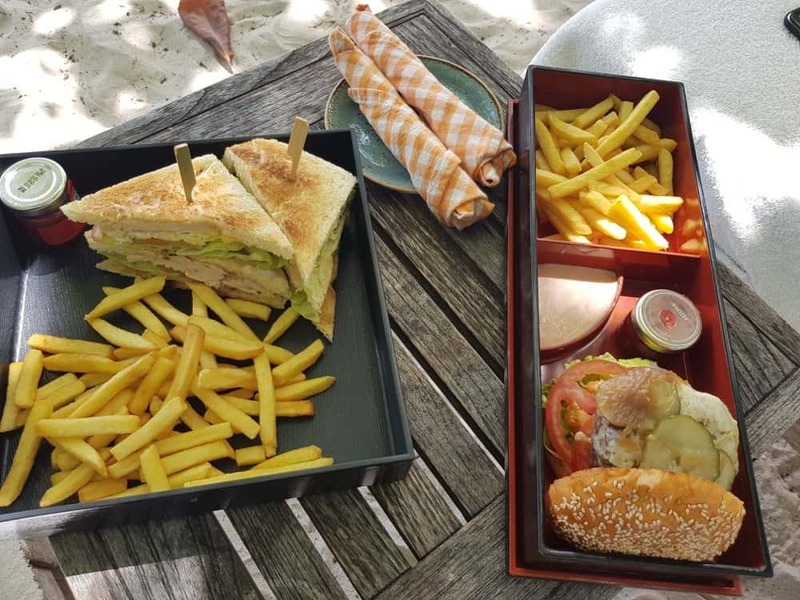 We also ordered the chicken club sandwich and pizza and the second day I did order the burger again since it was that good! The cost was about £18 for a burger which is what we usually pay in Doha and considering the location I think it is value for money. 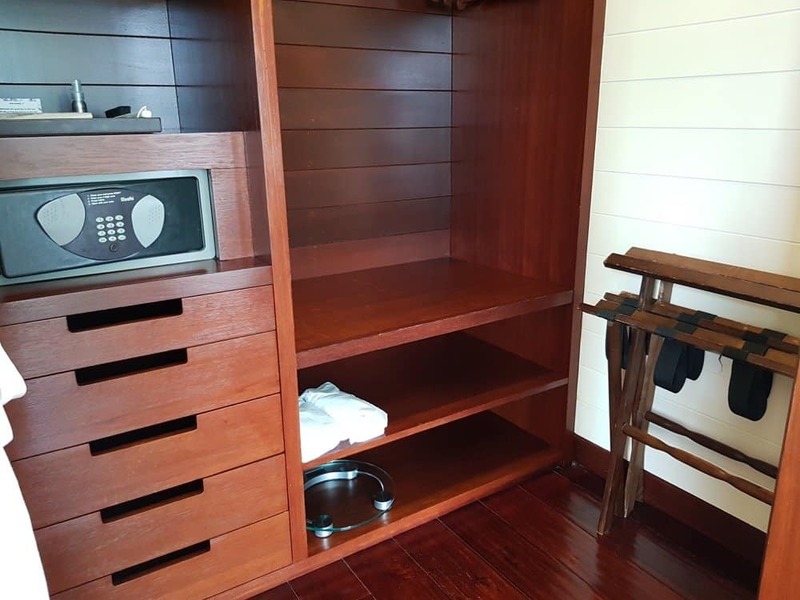 I also find this with many of the services in the resort like laundry for example that were so much cheaper than expected. 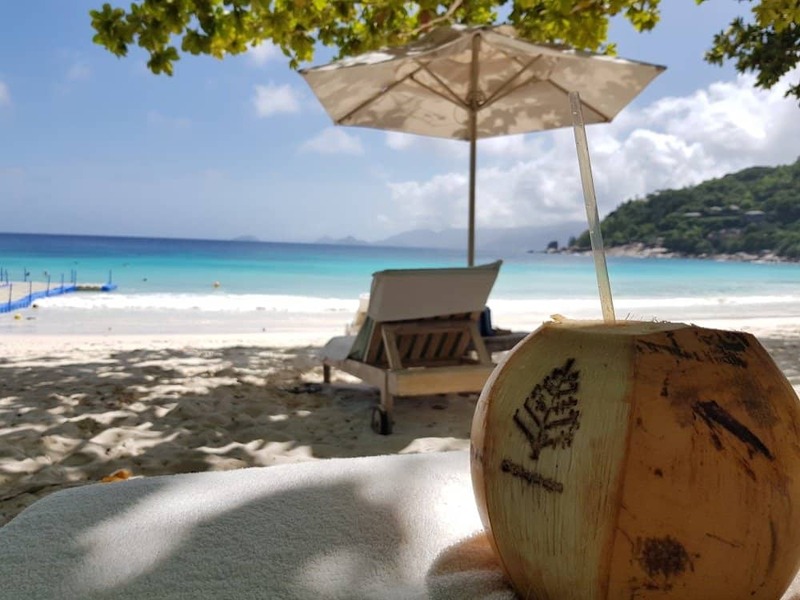 If you visit the Four Seasons Seychelles you must have the fresh coconut! I am not a coconut fan but this is apparently a different sort of coconut and it was delicious. In the afternoon the beach bar gets busier with people enjoying a drink and also smoking shisha -mostly, of course, the Middle Eastern guests. It had a relaxed vibe that I really enjoyed. 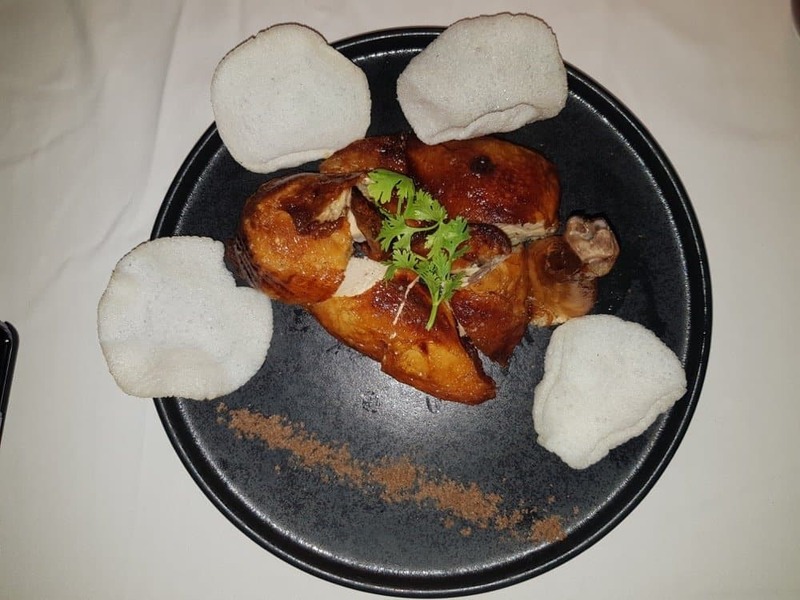 On our first night, we tried the food in the restaurant which was Pan-Asian style. 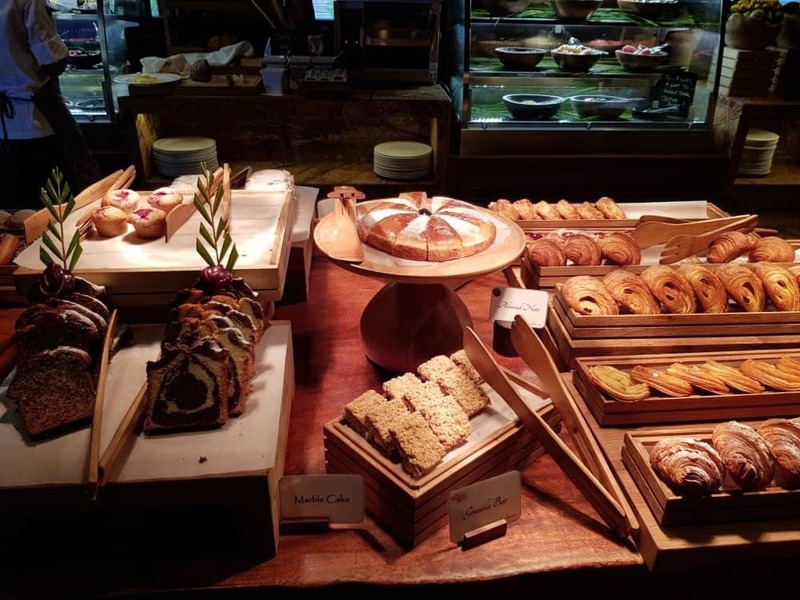 It is served in the same restaurant where breakfast is served and there is a smaller Japanese restaurant on the same level where you can order from too. The atmosphere is very relaxing and romantic and although it was raining it still felt peaceful. We opted for a starter, steaks and rice. Since the meat is halal and I am a sucker for a good steak (which I can’t cook properly) it’s usually my number one choice. 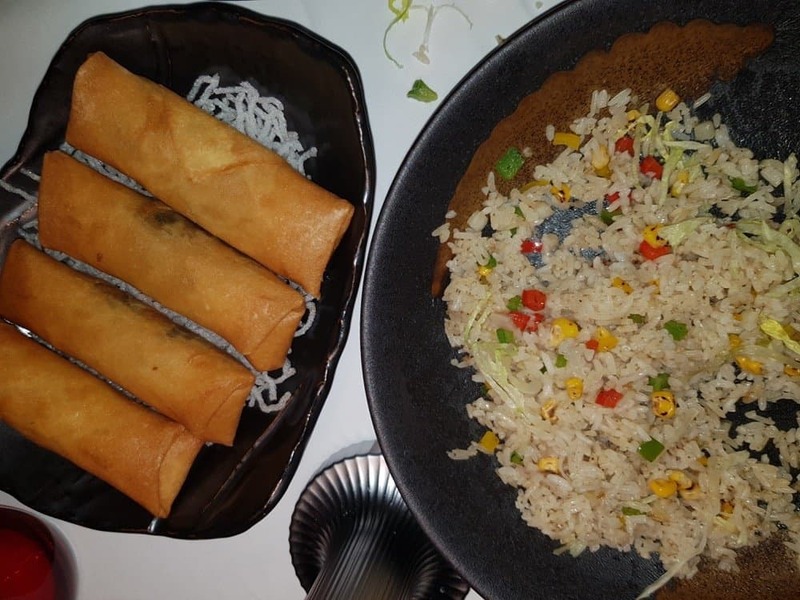 There was a small mix up with the order and our starter which was vegetable spring rolls didn’t arrive until our main course. 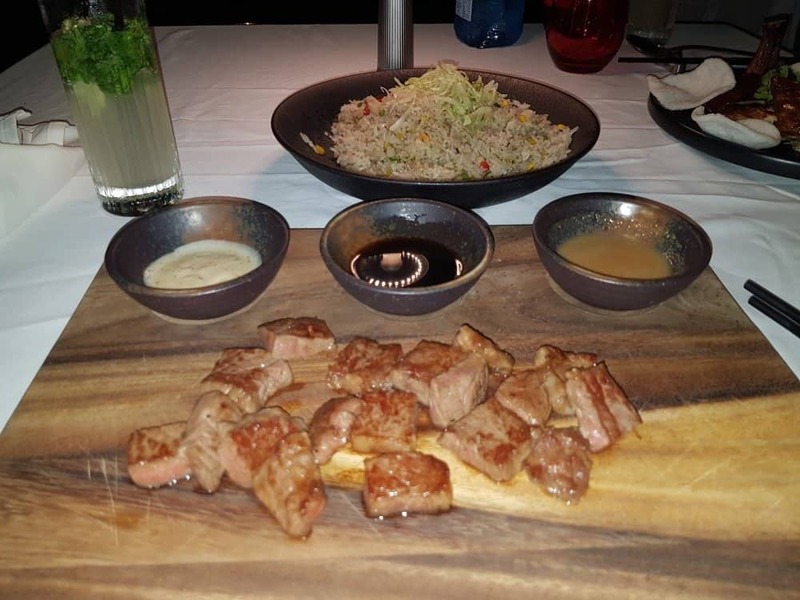 The food quality was excellent albeit not the largest portions and I did expect my steak to be in one piece rather than small pieces which I thought kind of spoiled it for me. Not a big deal but something to remember if you order steak. The rice we had ordered as a dish was delicious and I ended up eating most of it by myself. 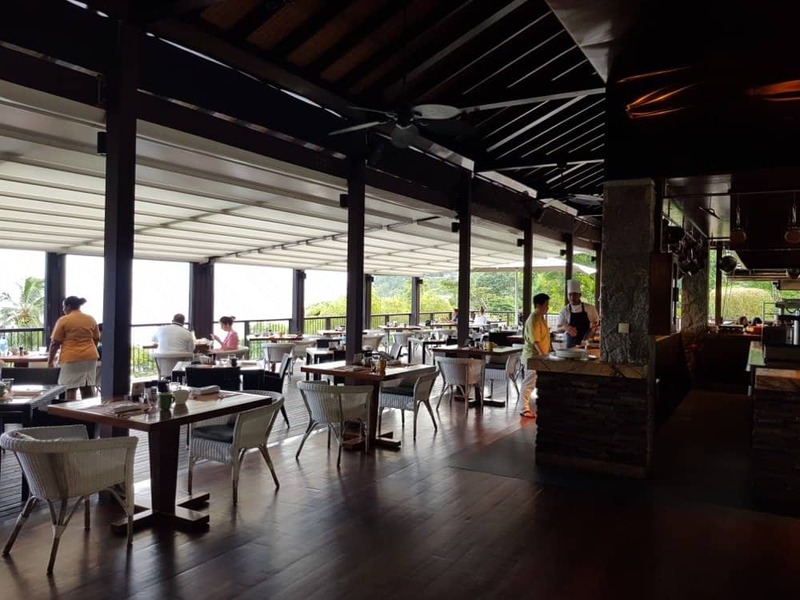 Overall I think I had higher expectations for the dining experience and after having been to several Michelin star restaurants I thought it could have been on such a level for a Four Season resort. By no means was it bad just that it was ok. I really wanted to try the room dining, especially because we had such a great view but there is so much food a girl can eat. However, if we go back I will give it a try. 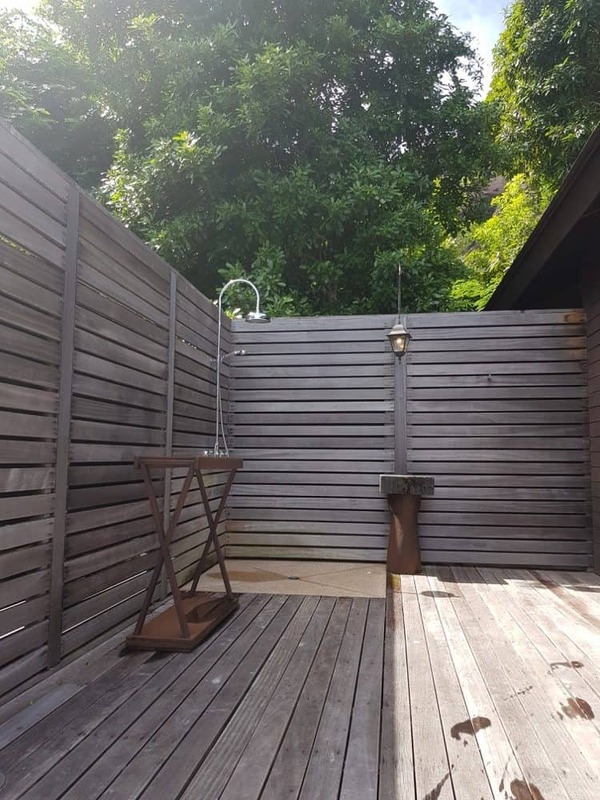 Also if you are on your honeymoon I would recommend trying it out since you have a lovely deck, view and privacy. 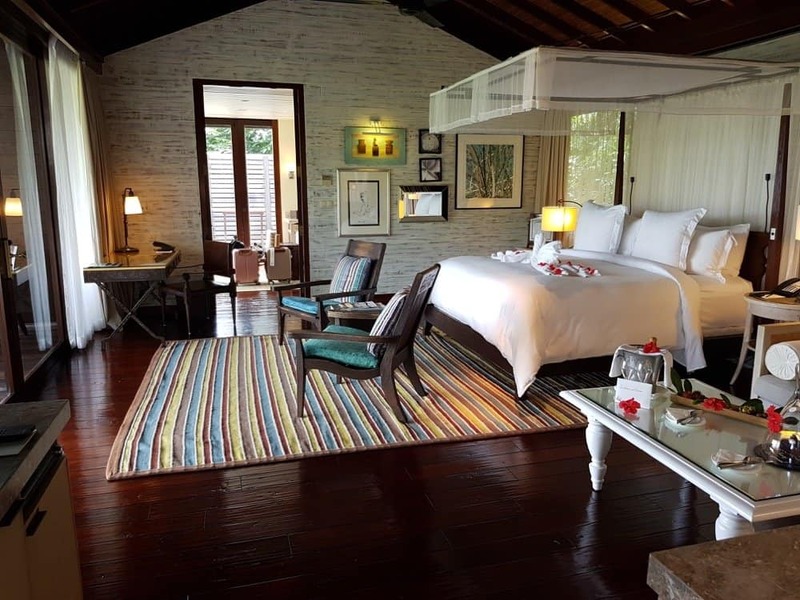 As I mentioned above this was our second Four Seasons stay but first in a resort and I have to say I am sold. 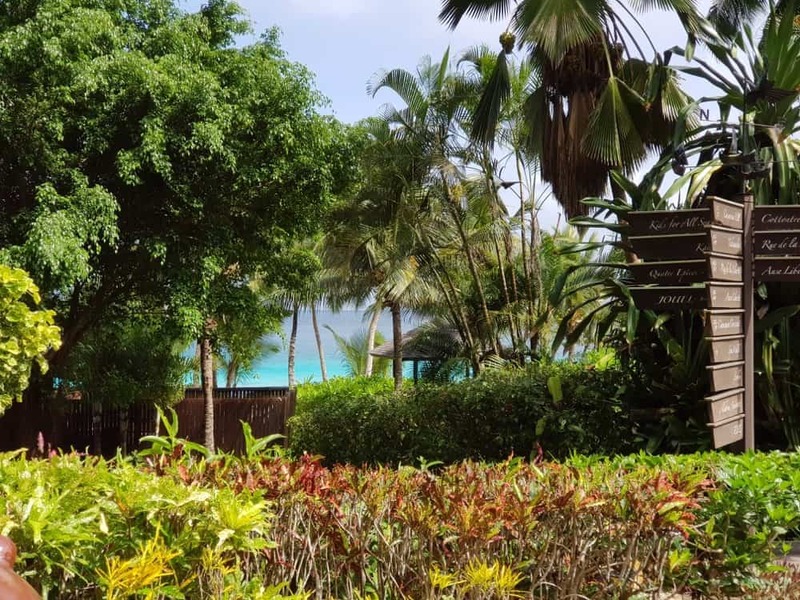 This is a dreamy honeymoon destination and as a Muslim couple visiting I enjoyed the privacy it offered, I loved the fact that everyone knew our names, the beach was stunning, our room was cleaned while we were on the beach without having to worry about it. 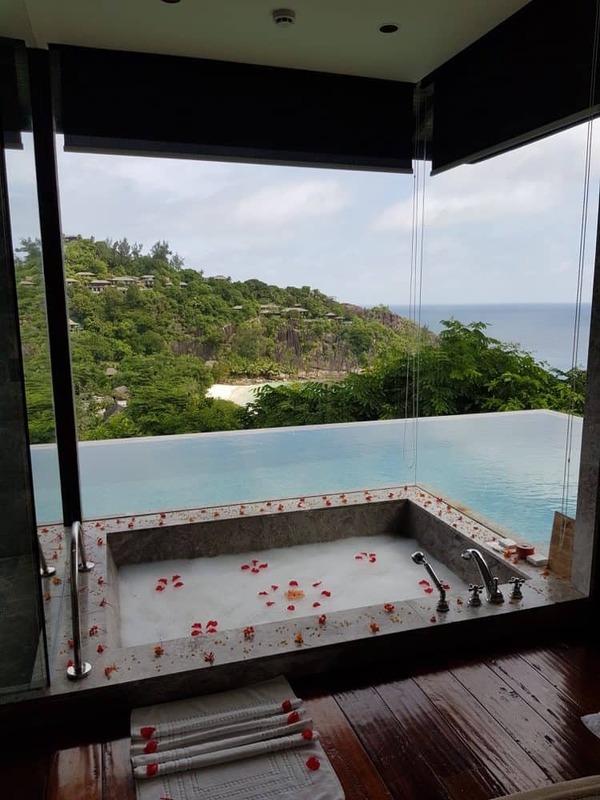 There are many small elements that you can’t express that are there on this level of customer service, which is why it makes the perfect honeymoon option. My husband is a phone addict and I have to say that the minute we stepped into Four Seasons he just let go of his phone. I doubt he looked at it more than 5 times over the 3 days we were there. The place just helps you relax and enjoy the service and view. 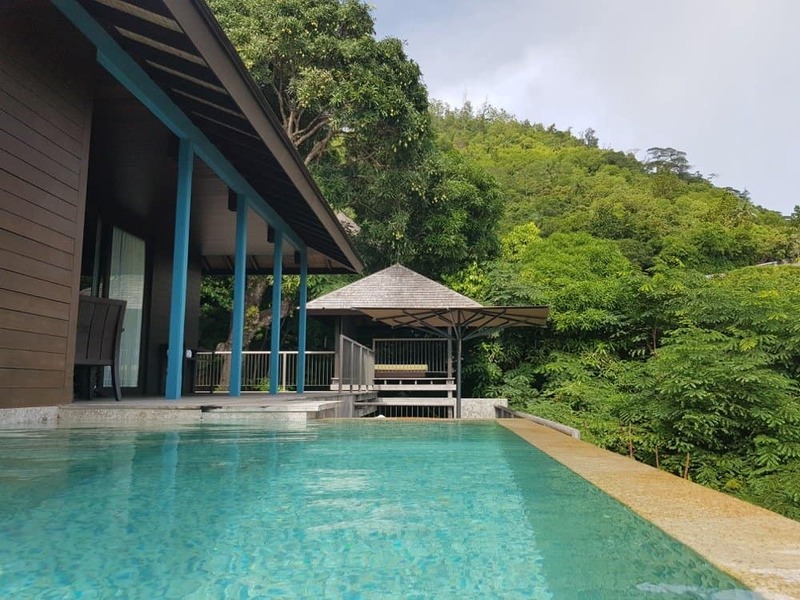 The whole property is within the jungle and the myth is that the land was sold for a song since it’s so remote and hard to build on but after 5 years (I believe) the Four Seasons delivered a stunning property. Another thing that I don’t think you notice while living in big cities with plenty of artificial light is how dark it actually can become at night. I truly loved this remote, relaxing luxury experience. 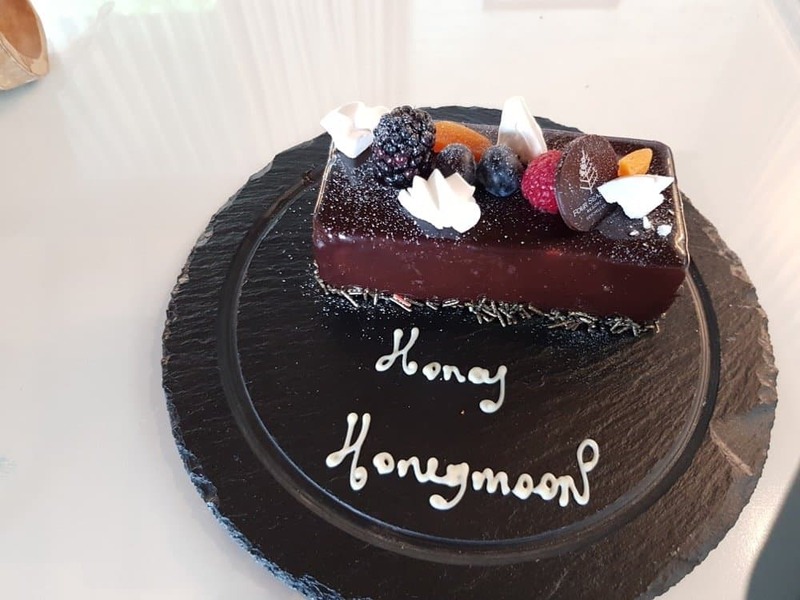 We have decided to try a few more Four Seasons resorts around the world in the next year since I can say I can happily get used to the style and personalised service. 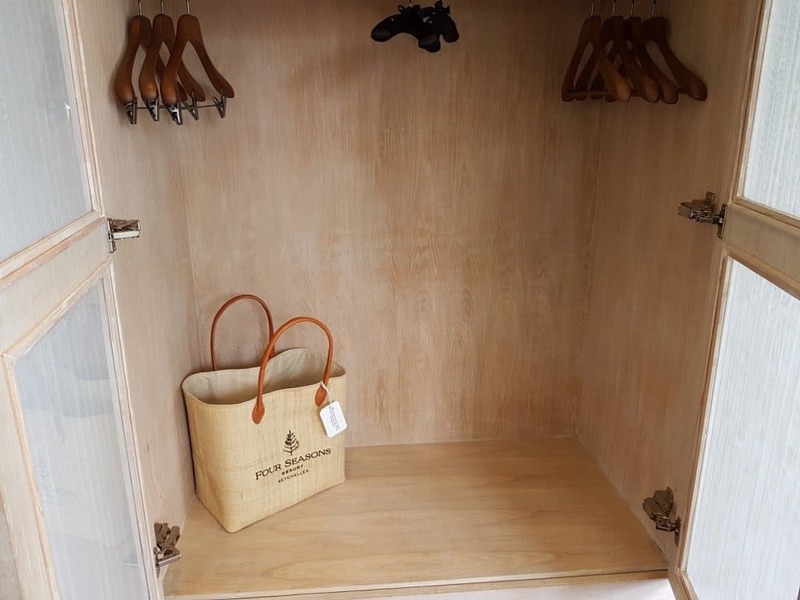 Of course, there are things they can improve like any hotel nothing is 100% perfect. 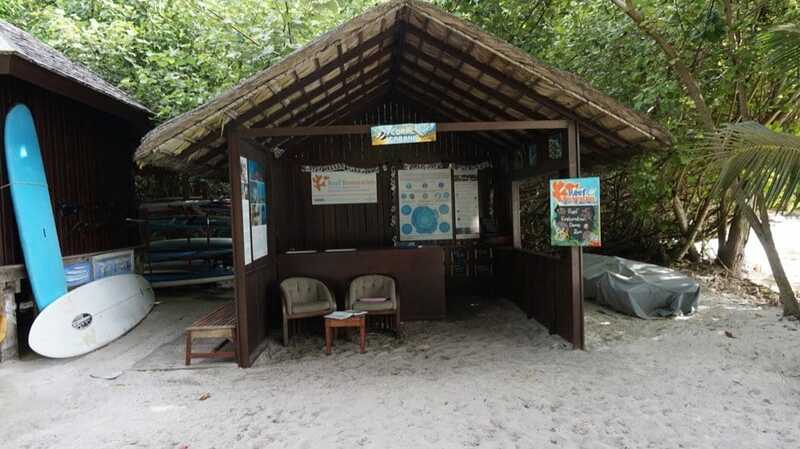 For example, customer service in some of the food outlets and the beach could be better. 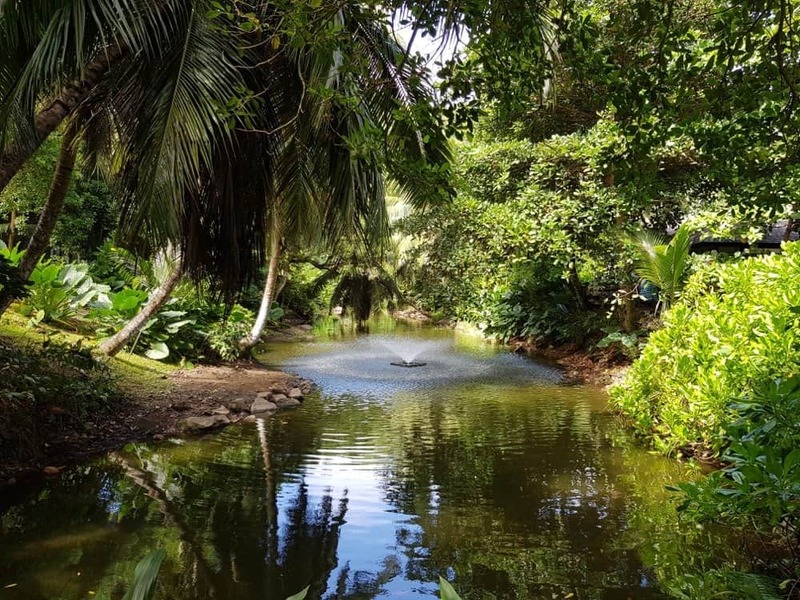 Being on a tropical island is never easy when it comes to finding staff and here is no different. The pace of life is slower and coming from a hectic lifestyle it can be hard to adjust so don’t expect Dubai customer service; enjoy the friendliness and just relax. Another thing that can be improved is the wifi connectivity. I wanted to share so many more photos of my adventure but the internet was slow. Now, this is not major and I kind of liked the fact I can relax but keep this in mind if you are going there after all you are in the middle of paradise updating a status can wait. 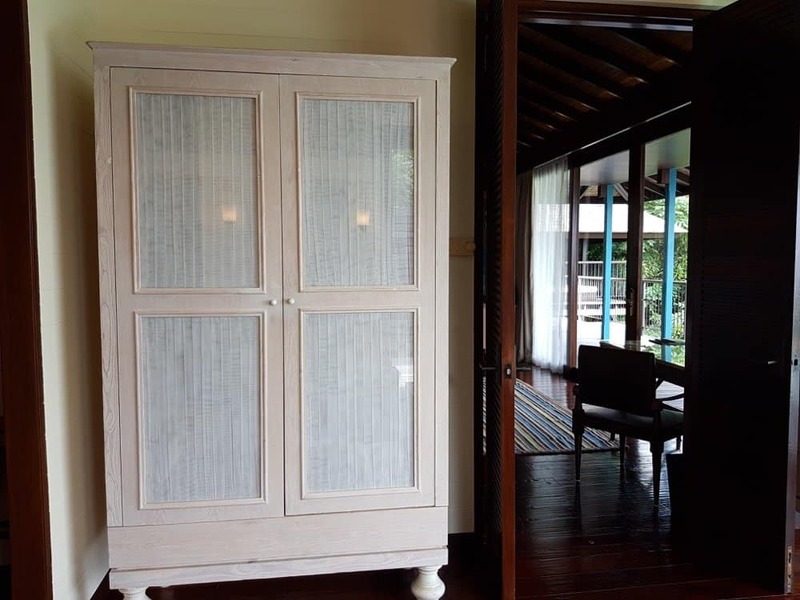 I asked to see some other rooms in order to check the privacy level and I have to say that the Serenity villa or the entry villa which is the Garden villa will be better if you want more privacy. 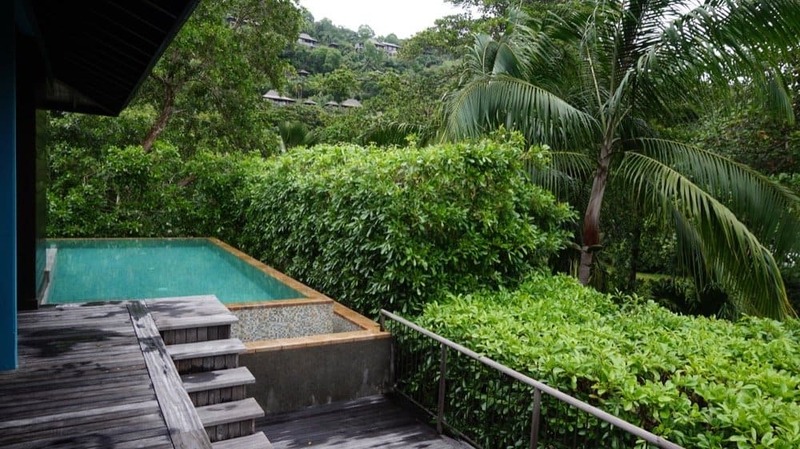 Serenity villas are on top of the hill and although there is no partition it’s hard to see and they are more secluded. So these are better for those couples wanting a wow experience with privacy for a hijab free holiday. 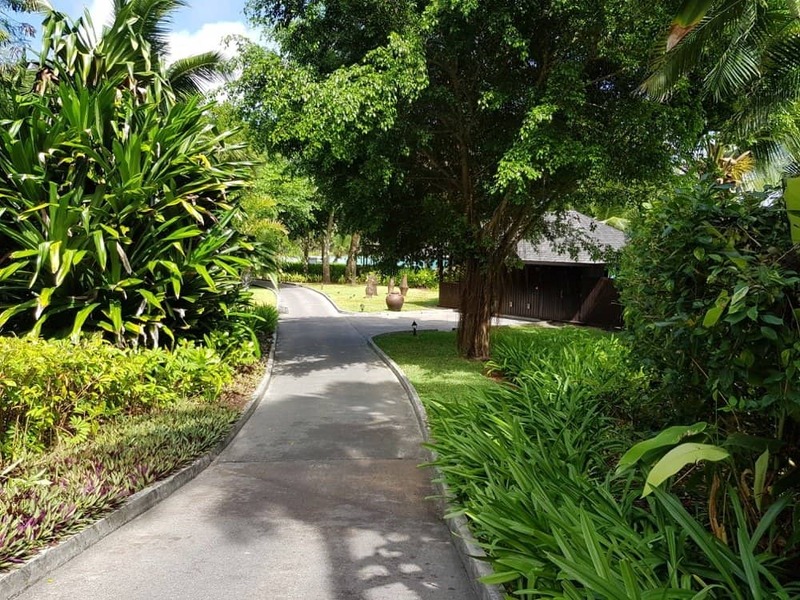 The garden villas are better for families or privacy because they have more flora around them and they are also closer to the beach, just keep in mind you can be overlooked by villas at the top. If I were to go back I would ask them to block a room with the most privacy and as they told me they can work around the trimming of the flora and make sure they don’t trim it too low for the guests. Since this is the Four Seasons anything is possible if you ask. On the same note, I would always email them in advance of your stay and request that alcohol is removed from the room and also to let them know you are on a honeymoon/babymoon so they can prepare your room accordingly. Nothing is too much trouble. If you have any dietary requirements or anything else you would like to ask it is always better to email them directly. 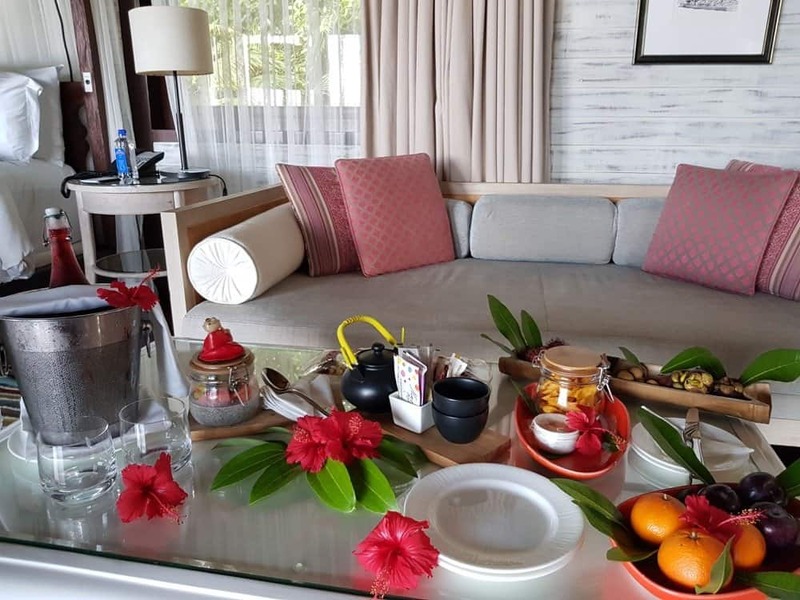 They do offer babymoon packages which are becoming very popular even among Muslim couples and their set up is really cute. What I would do if keeping on a budget is important. 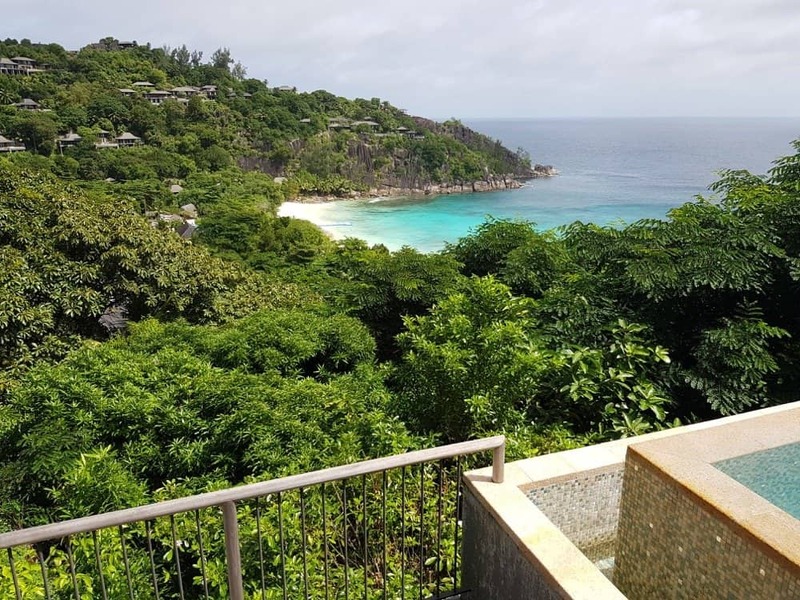 I would split my hotel stays on Seychelles with a few nights in the Four Seasons and the rest in another more affordable hotel. 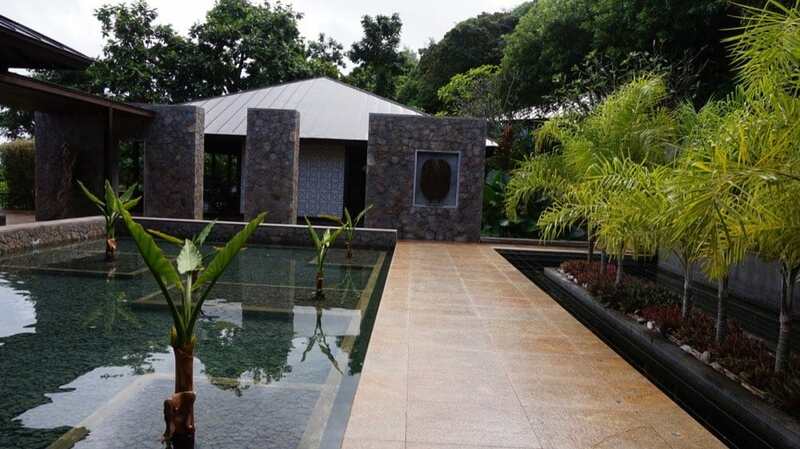 Prices for the villas start at around £700-800 a night which I do believe is reasonable for a resort of this calibre considering where you are, and it is on the same standard as the Maldives after all. The Four Seasons usually do have offers if you book directly with them giving you, for example, the 4th night free which can be a good deal. My best advice will be to go when it is not peak season since you can get a much better offer. 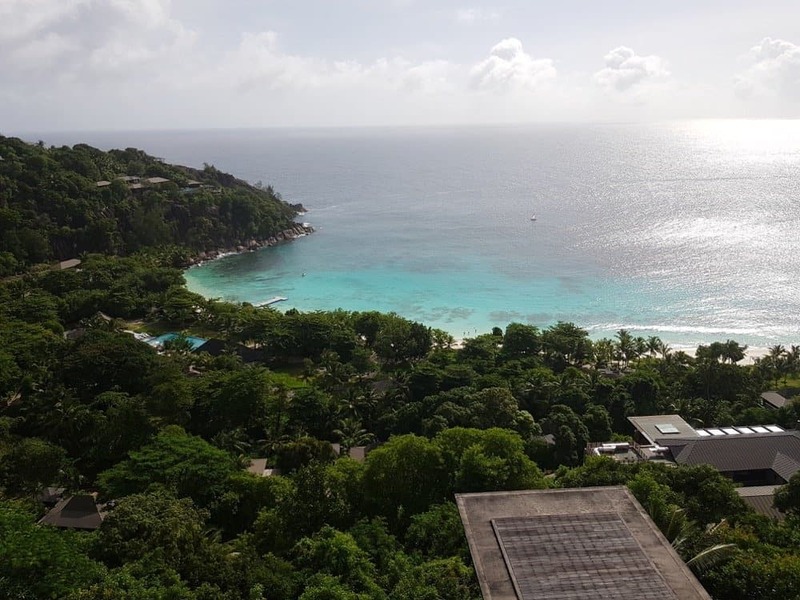 Overall I loved my stay at the Four Seasons Seychelles and as a Muslim honeymoon destination, I truly believe it is one of a kind. There are so many things you can’t express that you have to feel that are part of the experience and it’s not often I leave a hotel feeling this way. I can’t wait to explore some more Four Season resorts in sha Allah (God willing). 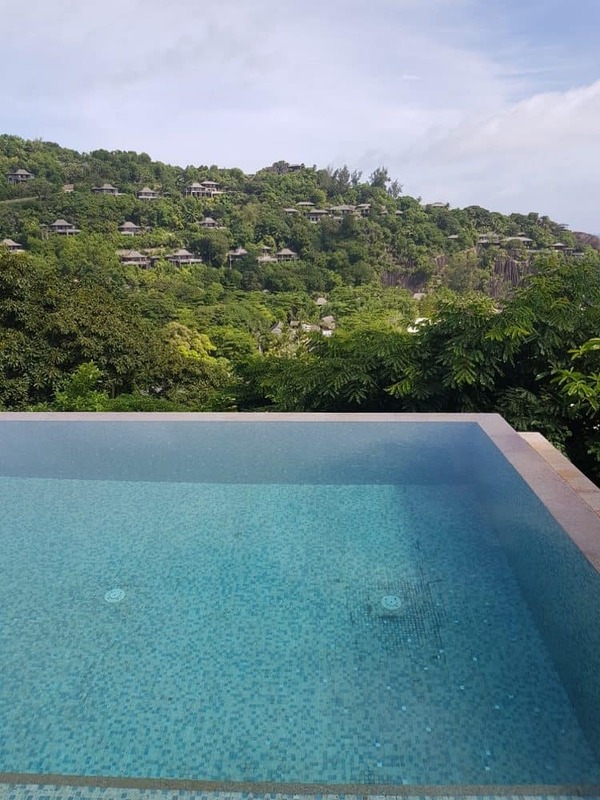 I was a guest at the Four Seasons Seychelles as part of discovering Muslim-friendly hotels in Seychelles but all incidentals and this review are mine. I received no direction or even a question about my content from the Four Seasons team. Thank you for your review on this Hotel, my wife and I are planning a trip for our honeymoon but have not decided yet the destination. Could you please advise if the meat was halal, as this is an important information for muslim travelers (at least for us). Thank you for your reviews your blog is interesting and I just dicovered it, I will follow it now :). Yes all the food is halal. Its a lovely place and I think you will love it. Excellent review of a truly amazing location.